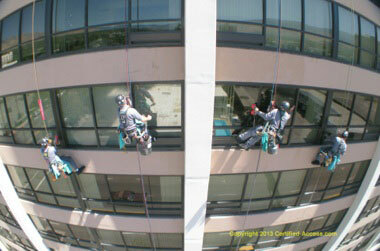 AxcessRescue offers industry specific controlled descent (RDS) training. We provide training in the basic fundamentals of controlled descent (also termed rope descent systems) and working safely and efficiently at height. In addition, basic and advanced rescue techniques are presented to provide for self and co-worker rescues. Our courses exceed the IWCA standards. At AxcessRescue, we have taken an all-new approach to RDS training. We include basic fall protection concepts, with modern, up-to-date techniques such as rope access awareness and equipment that gives students the skills they need to get their jobs done faster, more efficiently, and with a higher level of safety than ever.